I started using Kamut khorasan flour in bread baking two months ago and have not stopped using it since. It tastes excellent in sourdough breads and I’ve baked some of the best loaves of bread I’ve ever tasted with this beautiful flour. 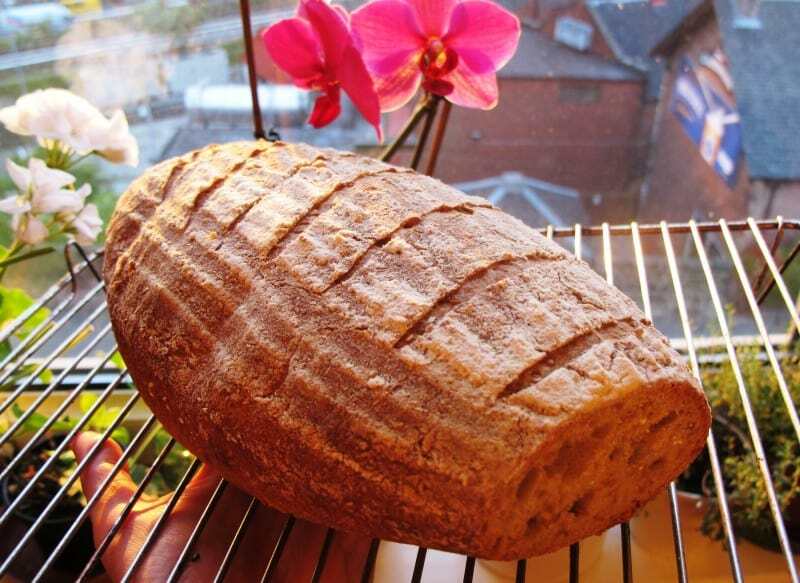 Here is my Kamut bread recipe, also incorporating flax seeds. I recommend it! “Kamut” is a trademark which has been set up for a species of ancient wheat called khorasan to guarantee certain qualities of the grain. For example, the name KAMUT® certifies that khorasan wheat has been organically grown. 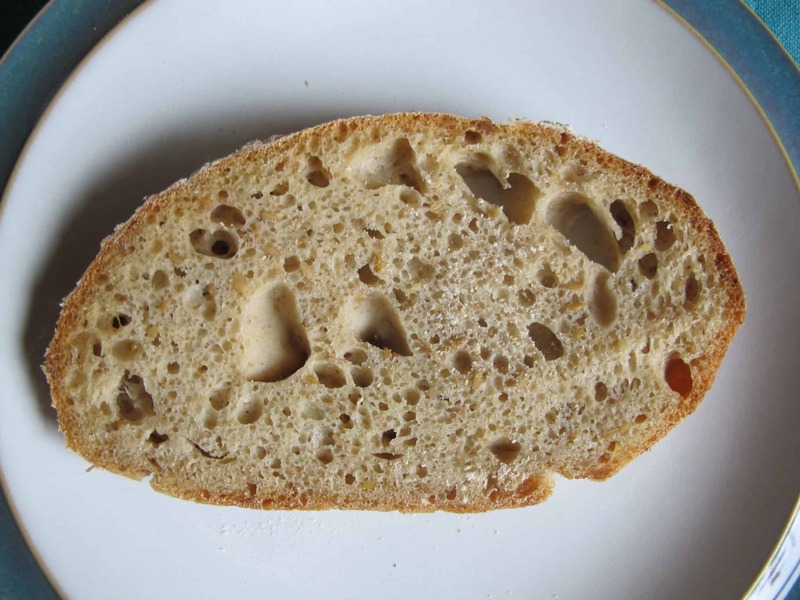 The khorasan grain is not suited to the UK’s soil or climate conditions and is currently grown in North America. 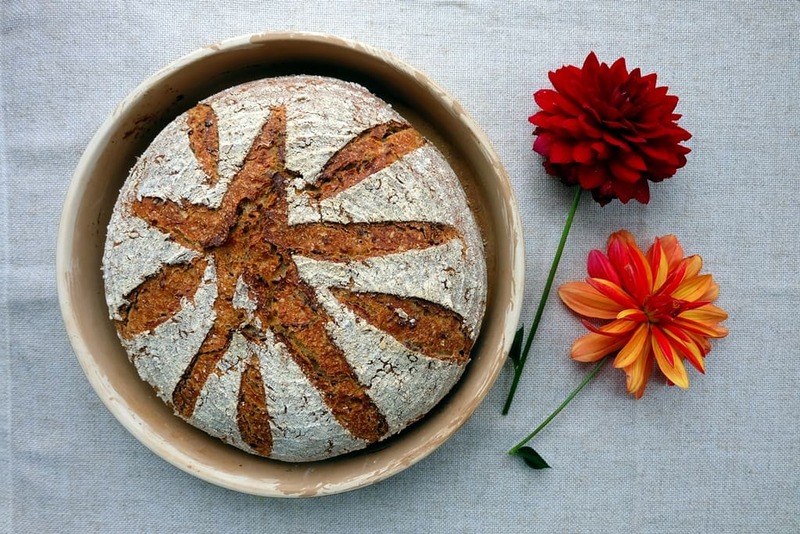 In the UK, you can buy Kamut Khorasan Flour from Doves Farm, the licensed UK supplier of KAMUT® khorasan grain. Kamut khorasan flour is high in protein and has a mild, slightly nutty taste and golden colour. It contains gluten, but is reported to be tolerated well by those sensitive to gluten. It’s generally advisable to mix Kamut flour with plain flour – your loaf of bread might otherwise be quite dense due to the khorasan flour’s high gluten content. Find out more about Kamut at Kamut.com. 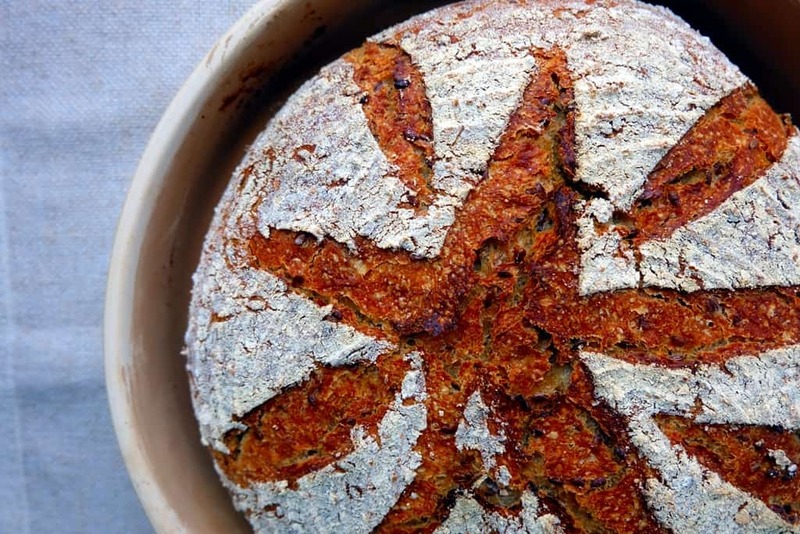 This sourdough bread recipe takes the pain de campagne French country bread recipe a step further by incorporating Kamut Khorasan flour and a flaxseed soaker. Mix together and cover overnight. Mix together and cover overnight (about 12 hours). Here are some more pics from other Kamut bakes.